It’s been almost a month since I last shared a photo from my recent trip to Panama, and since I still have a LOT of photos from there, I figured I better get busy. 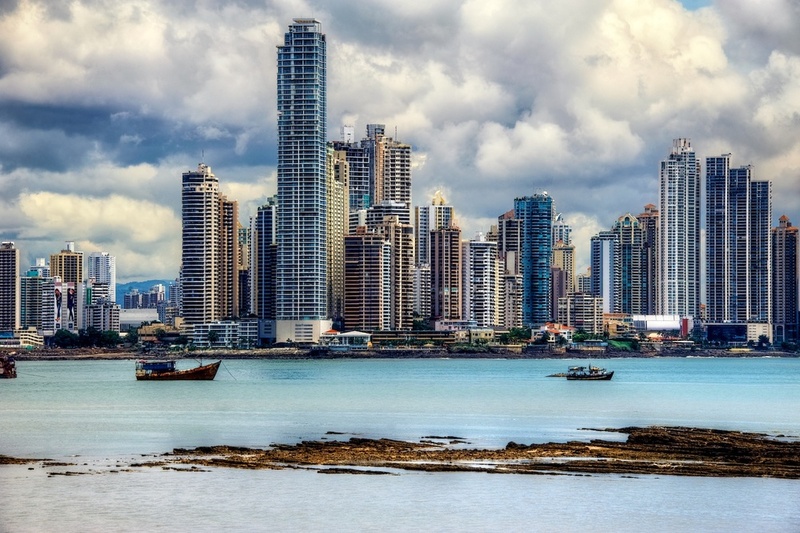 Panama City is really a very beautiful city. There is a massive contrast between wealth and poverty, which makes for some interesting shooting. The skyline is incredible, as you can see here. It looks almost like you are in Miami, but nope this is Central America. These skyscrapers rise out of seemingly nowhere to tower over everything in sight. I shot this one from Casco Viejo, which is their old town area and a very interesting place to shoot. As you may imagine, Casco Viejo has a lot of ruined old buildings and dilapidated structures. I encountered poor families living in tenements, sharing a single outdoor sink. And of course, just around the bay you see this shiny new collection of skyscrapers. It’s kind of surreal.